As Jazzistry’s bandleader, Vincent York uses a wealth of professional artistry to unveil the story of jazz to audiences of all ages, time and again, each time with different twists and fresh interpretation. Every artist performing in Vincent York’s Jazzistry has a distinguished career as an independent professional jazz musician. The personality of each musician and the character of each instrument contribute to the collective voice that tells this historic and American story. Dwight Adams hails from Detroit and has long been considered a gifted musician. At the age of 16 Dwight appeared with the Teddy Harris New Breed Be-Bop Society Orchestra. Dwight has twice received the Metro Times Spirit of Detroit award (1993 and 1996), he leads The Dwight Adams Quartet, is featured in many Detroit bands, has toured with Stevie Wonder, and has played and recorded with Vincent York’s New York Force. John Dana has been a fixture on Detroit’s jazz scene since the 1960s. 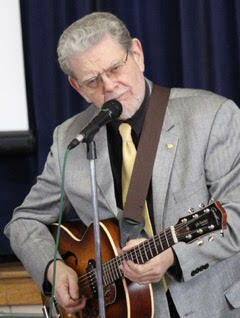 John is a respected musician, educator and composer. 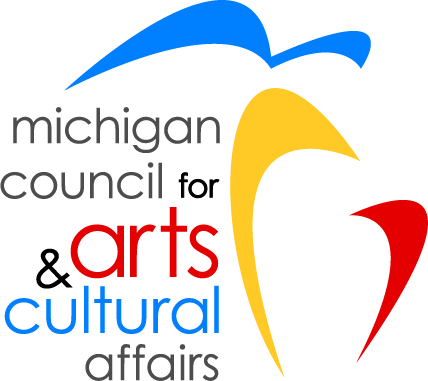 His working experience is wide-ranging and includes stints with Art Blakey’s Jazz Messengers, Rita Moreno and the Glenn Miller Orchestra as well as Storytellers, a Detroit-based group teaching ethnomusicology to youth. Ron English has enjoyed a long career in music which began in Lansing. Ron has deep roots in the blues, Broadway, bebop, avant-garde, funk, Motown and gospel. Ron’s talents are varied and include composer, educator, clinician and adjudicator. He has worked with the Detroit Symphony Orchestra and many Motown groups, he has also toured and recorded with the Lyman Woodard Organization, Rahsan Roland Kirk and Eddie Russ – just to name a few. An integral part of Detroit’s jazz scene since the 60’s, he was awarded Metro Detroit’s Best Guitarist 1991 and 1993. 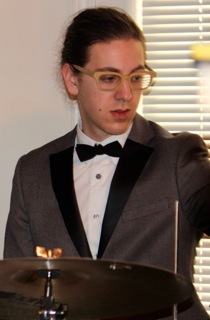 Jesse Kramer is one of the most promising young drummers in Metro Detroit. 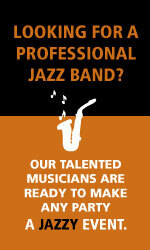 Jesse has already performed at clubs, theaters, and festivals with some of the top local and national jazz musicians. Born and raised in Ann Arbor, Jesse studied with local masters such as saxophonist Vincent York and drummer Sean Dobbins. While still in high school, Jesse was awarded a Downbeat Magazine Student Music Award for best group, and his trio performed at Detroit Jazz Festival. Gary Schunk has earned much acclaim as both an acoustic pianist and as electronic keyboardist for his own electric jazz trio Schunk-Starr-Dryden. In 1995, Gary was chosen as one of ten winners in JAZZIZ magazine’s “Keyboards on Fire” contest. His composition, Backward Glance, is featured on the JAZZIZ compilation CD as well as his independently produced debut CD, The Key Player. Gary has played with numerous jazz greats, including Joe Williams, Earl Klugh, Pepper Adams, David “Fathead” Newman and many others. Al McKenzie is an accomplished pianist, music director, composer, arranger, band leader and educator. Al has toured extensively with many recording artists including The Temptations, The Four Tops, The Motown Group, Anita Baker, Martha Reeves, The Spinners and Etta James, just to name a few of many. As former music director and keyboard player for The Temptations he offered his wide-ranging experience and innate talent to promote and enhance the close soul harmonies and fancy footwork of one of Motown’s legends. 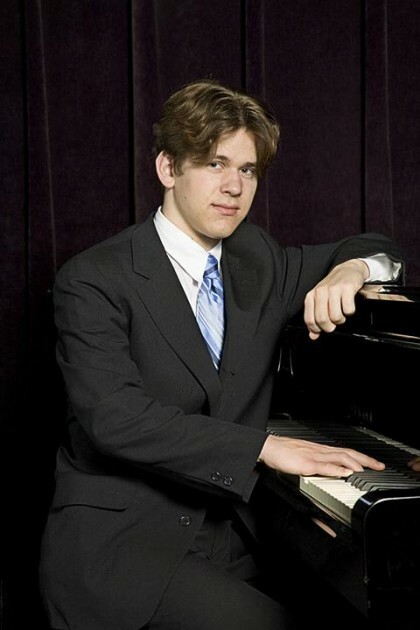 Glenn Tucker is a versatile up-and-coming jazz pianist, organist, composer, and arranger. Glenn has studied privately with Geri Allen, Tad Weed and Vincent York. Glenn has also been mentored by Detroit-area piano greats including bebopper Claude Black, James Dapogny, and Gary Schunk. His professional jazz career started with subbing for Dapogny and Black at age 15 and gigging at the Firefly club with Paul Keller, Los Gatos and the Easy Street Jazz Band. He has since worked with area greats Marcus Belgrave, Andrew Bishop, Vincent Chandler, Mike Karoub, George “Sax” Benson, and Greg “Vibrations” Williams. He is also sought-after by his peers, playing with the hip hop collective Tree City, and appearing on saxophonist/composer Marcus Elliot’s debut CD “Looking Forward”. Rick Roe won First Place in the Great American Jazz Piano Competition in 1994, and was a Semifinalist in the Thelonious Monk International Jazz Piano Competition in 1993 and 1999. Rick has also been a featured performer in the Jacksonville (Florida) Jazz, Savannah (Georgia) Onstage International Arts, Montreaux/Detroit Jazz, Birmingham Jazz, Lansing Jazz, Flint Jazz, and Hawaii Jazz Festivals. Rick has served as a clinician and educator at the University of Arizona, North Texas University, Michigan State University, the University of Nevada, Las Vegas, the University of Michigan, and the Montreaux/Detroit Jazz Festival. Zach Saginaw is an electronic music producer and drummer. Zach trained as a jazz drummer and calls his music “instrumental, electronically-produced music that is jazz and hip-hop influenced.” Growing up in Ann Arbor he was heavily influenced by old jazz and Motown artists and developed his sound in the Detroit music scene. He has released four studio albums with the record label, Ghostly International, since 2010 in addition to releasing three EPs since 2008. In 2015, he played electronics for Dave Douglas’s High Risk project with drummer Mark Guiliana. Zach has also done multiple North American and International tours. Josef Deas has spent nearly 25 years studying and expanding his music repertoire for the upright bass. He has performed and even recorded with some of jazz’s finest musicians including Wynton Marsalis, Marcus Elliot, John Douglas, George Davison, Marcus Belgrave, Ian Finklestein, James Carter, Vincent York, Vincent Chandler, Donald Walden, Rick Roe, Tad Weed, Gary Shunk, Charles Boles, Scott Gwinnell, Steve Rush, Alma Smith, , Dwight Adams, Kariem Riggins, Sean Dobbins and Bill Higgins.